It is never easy to find yourself contemplating your own mortality. However, it can be made much easier by considering how failing to plan could actually cause problems for your loved ones. 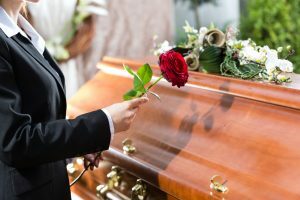 In the event that you pass away without having a plan clearly articulated for your loved ones, they may be faced with the challenges of going through the court system and awaiting someone to be appointed to serve as your personal representative. Furthermore, family members who may not get along may suddenly find themselves in conflict with one another arguing about your intentions. These problems can emerge even before you pass away, such as in situations in which you did not articulate your end of life wishes. Your family members may be distraught or confused over your intentions about whether you would like to receive life-sustaining care and this can pose problems for your beneficiaries when there is confusion about who is entitled to what and who should be empowered to make these decisions. In the heat of the moment , ou want to ensure that the appropriate people have been equipped with the ability to make decisions on your behalf. If you fail to take these necessary planning steps, you could be exposing your entire family to a great deal of unnecessary stress and confusion, not to mention the expense and frustration of going through the court system. Having continuous planning and engaging with an estate planning lawyer regularly can help to decrease the chances of problems faced in the estate planning process.